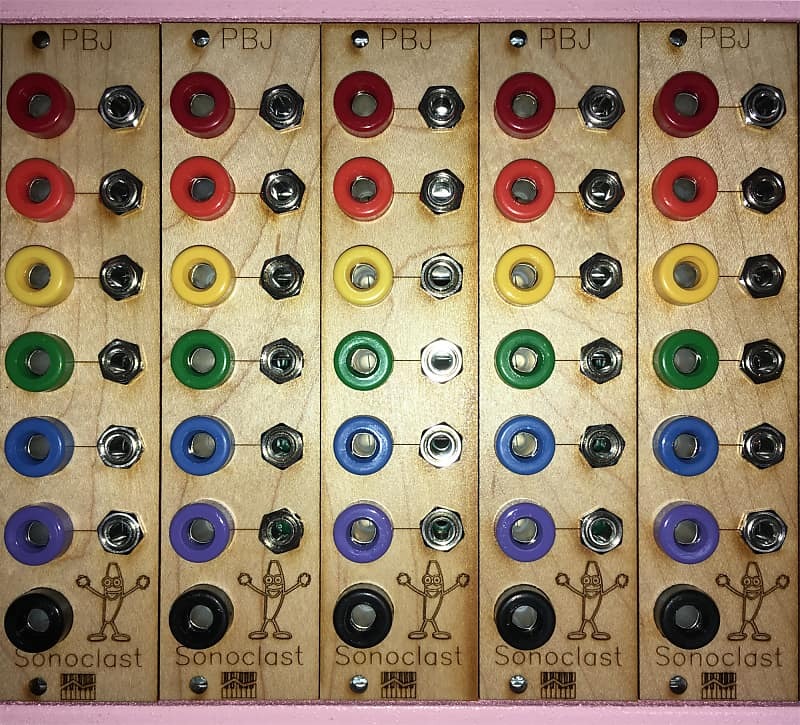 The PBJ is a Eurorack module made for patching banana to Eurorack. Six independent passive connections are available, and the black banana jack is for the ground connection. The module is 6 hp wide and 16 mm deep.